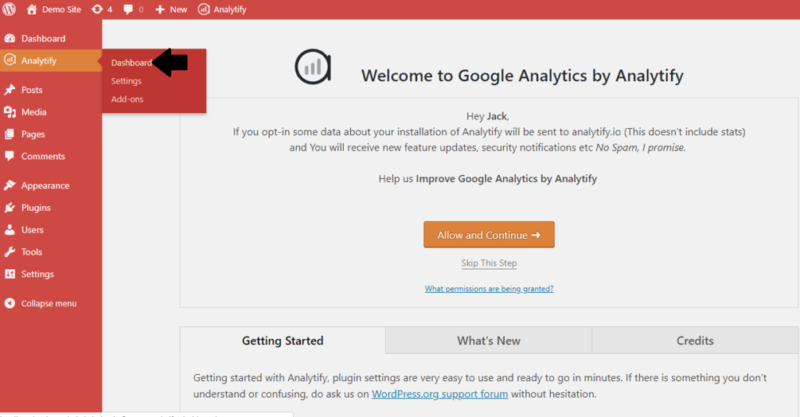 Step 1: You are going to need the Analytify Dashboard widget. Scroll down until you see the Addon. Download the Addon. Step 2: Open your WordPress Dashboard and navigate to Plugins >> Add New. 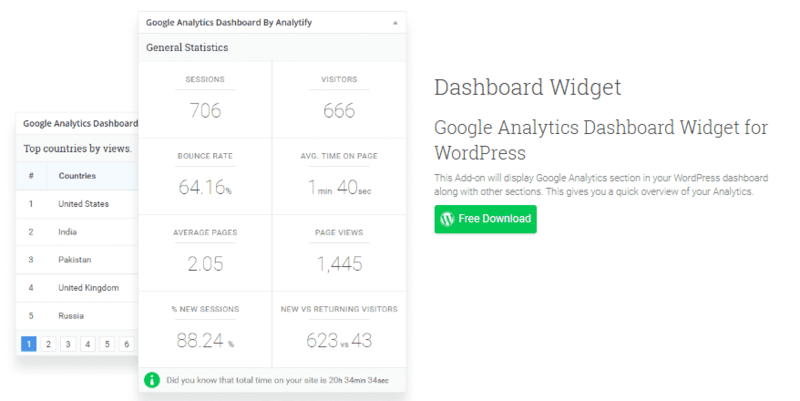 Upload the Google Analytics Dashboard Widget Zip File and hit the Install Now button. Step 3: After the installation hit the Activate Plugin button. Step 4: To access your Analytify Dashboard navigate to Analytify>Dashboard. 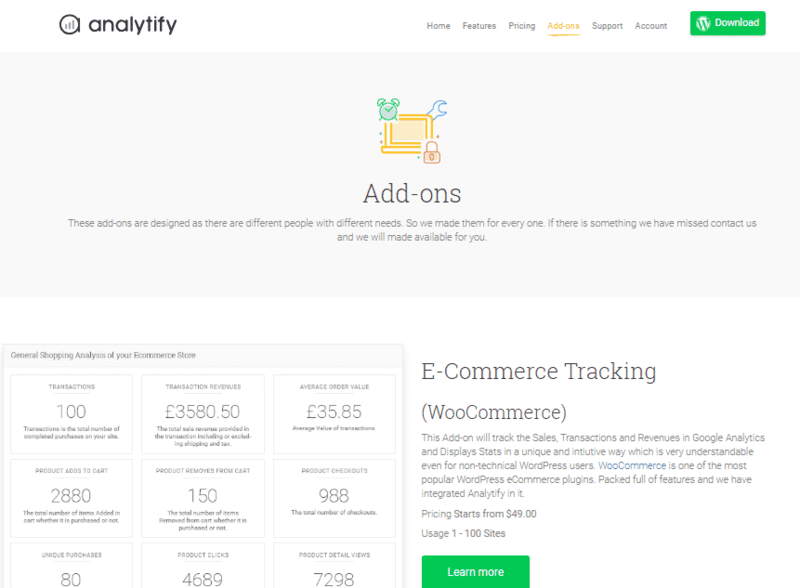 Now all you need to do is configure the features that you want to see and track all data.